I was pleasantly surprised by the youth presence at COP21. 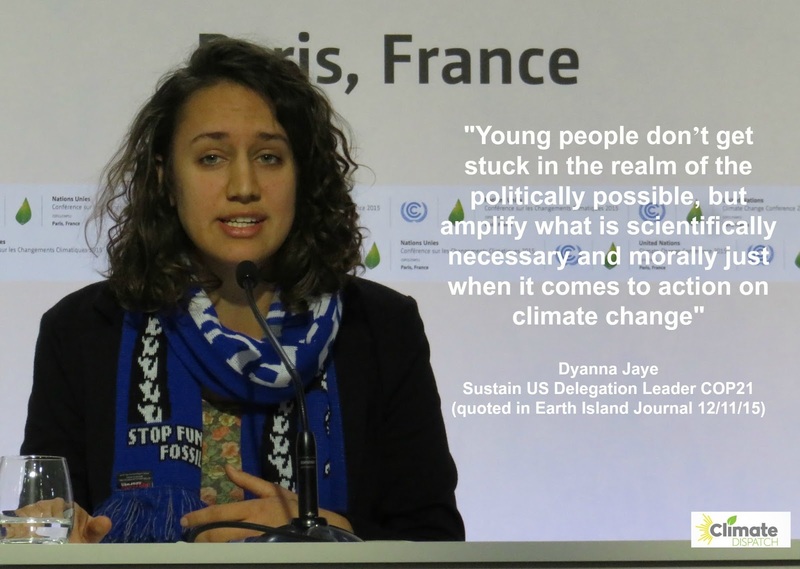 There is a new generation eager and ready to address the climate problem. A substantial portion of the 10,000 non-governmental accredited "observers" at the event were born after the international community took notice of the climate problem in the late 1980s. 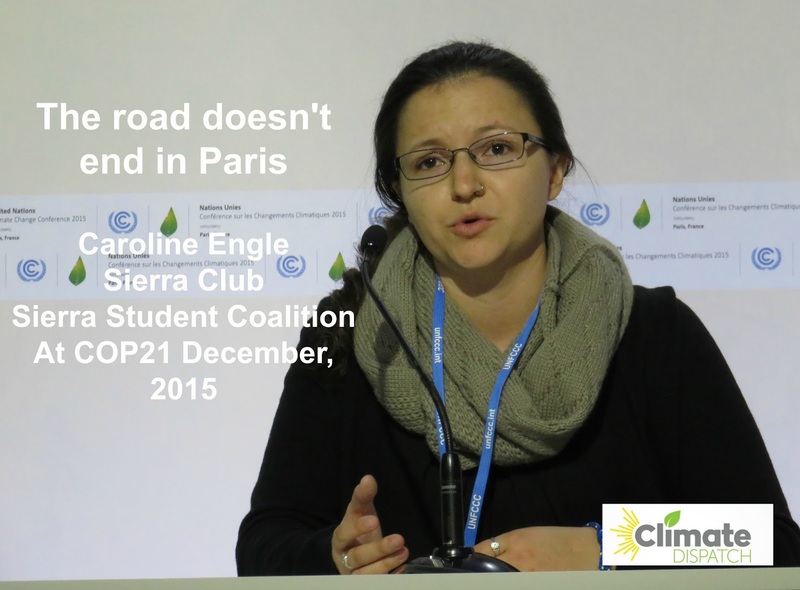 At COP21, they weren't just observing. They were engaged, energetic, articulate and effective. 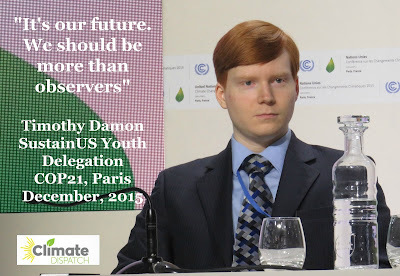 Timothy Damon of SustainUS made the point that was echoed by many youth. They will be living in the world impacted by climate change and they want their voice to be heard. The voice of youth was heard in many ways. Some button-holed diplomats, some had a presence with the media, some demonstrated and some were actually embedded within country delegations. With over 190 countries and 20,000 government delegates, effectiveness of outside constituencies was hard to measure at COP21. But the successful outcome reflected the hard work of many. 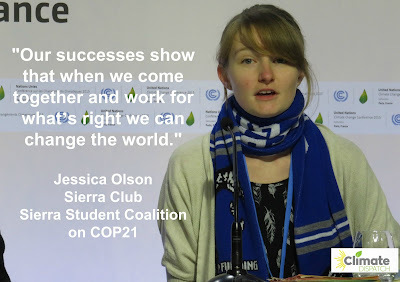 Jessica Olson of the Sierra Student Coalition recognized that change is possible through collaborative action. Finally, Caroline Engle of the Sierra Student Coalition echoed the sentiment of many .. that COP21 is just the beginning. 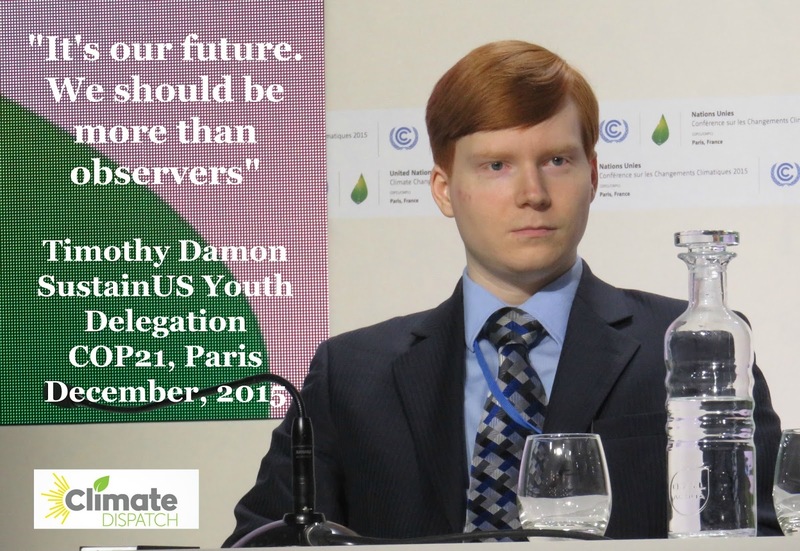 Much more work lies ahead if we are going to decarbonize our future. The youth at COP21 are ready to rise to the challenge. Nice and useful information about Co2. I really liked it.